Jigger Cruz, ‘Untitled’, 2014, oil on canvas, 80.4 x 63.2cm. Image courtesy of Phillips. Phillips will hold its inaugural Day Sale of 20th Century & Contemporary Art and Design in Hong Kong on 26 November, in addition to the Evening Sale first introduced in 2016. The newly introduced sale is a response to collectors increasingly buying across different categories. “The Day Sale will support the vibrant art market in Asia where record prices continue to be achieved for exceptional artworks, as well as appeal to the growing number of younger Asian buyers that are starting to build collections”, says Jonathan Crockett, Deputy Chairman and Head of 20th Century & Contemporary Art. Le Pho, ‘La Maternité’, 1968, oil on canvas, 63.7 x 79.5cm. Image courtesy of Phillips. The day sale presents a few mid-range Vietnamese modern paintings which include Vu Cao Dam’s ‘Maternité’ (1961) at USD8,900 to USD11,500 and Le Pho’s ‘La Maternité’ (1968) at USD32,100 to USD44,900. Other Vietnamese works include Mai Trung Thu’s typically serene figurative works on silk, ‘Young Lady with Flower’ (1954) at USD25,500 to USD38,300 and ‘Tea’ (1962), at USD23,000 to USD36,000. All the Southeast Asian contemporary artworks in the Day Sale except for the Christine Ay Tjoe painting are consigned from a single contemporary Southeast Asian collection. Sopheap Pich, ‘Memory’, 2016, bamboo, rattan, burlap, plastics, beeswax, damar crystal, 149.8 x 171.1 x 10.6cm. Image courtesy of Phillips. Filipino contemporary artists are well represented in this collection. 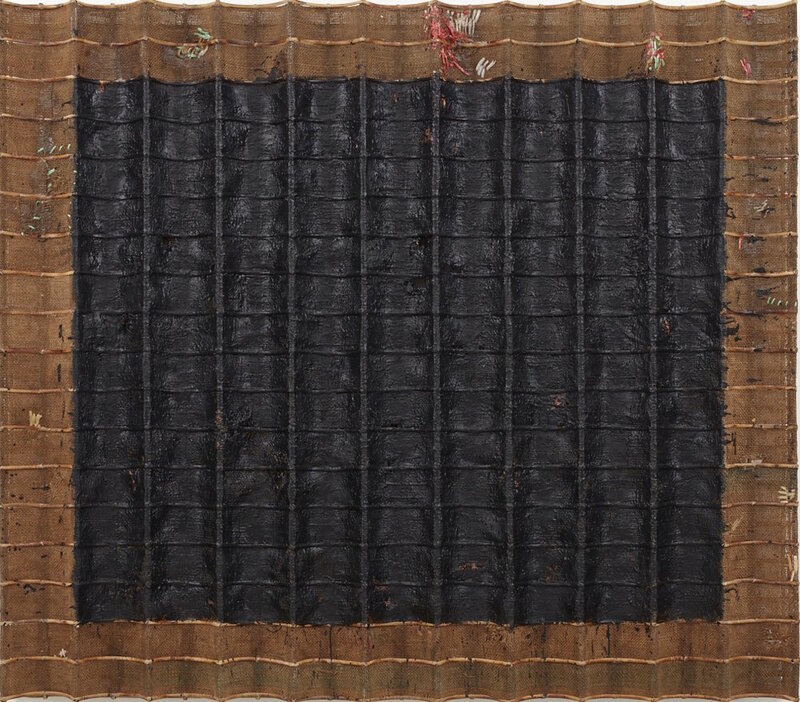 Raybaud singles out Jigger Cruz’s ‘Untitled’ (2014), at an estimate of USD19,100 to USD25,500 as the highlight Southeast Asian artwork in the sale. There are also Rodel Tapaya’s ‘Protection in the Forest’ (2013), Alfredo and Isabel Aquilizan’s ‘Landscape Painting 2 (s2370)’ (2010), Maria Taniguchi’s ‘US Letter Painting #26’ (2014) and Marina Cruz’s poetically titled ‘Whites and Blues Torn and Mended by Dragonflies’ (2016). Indonesian contemporary is represented by Entang Wiharso’s alumnimum-cast work ‘The Untold Stories #3’ (2011) and Arin Dwihartanto Sunaryo’s ‘We Are Having a Blast’ (2015) from the private collection, as well as Christine Ay Tjoe’s ‘Alter Idem II’ (2003). Other Southeast Asian artworks are Cambodian artist Sopheap Pich’s mixed-media work ‘Memory’ (1971) and two canvas works by Singapore artist Genevieve Chua. Cheong Soo Pieng, ‘Nature’s Expression’, 1963, oil on canvas, 101.5 x 153cm. Image courtesy of Phillips. And in the Evening Sale, taking place on 25 November, Singapore artist Cheong Soo Pieng’s early 1960s abstract painting ‘Nature’s Expression’, at an estimate of USD192,000 to USD256,000 leads the sale, and is featured alongside Thai artist Natee Utarit’s ‘The Dawn of the Day’ (2010), from his ‘Illustrating the Crisis’ series.